Meet the Oriole Mascot! Come see the Bomb Squad Robots! Talk with the firemen and see the College Park and Branchville engines! Climb the 30′ Spider Zone or 25′ Rock Wall! 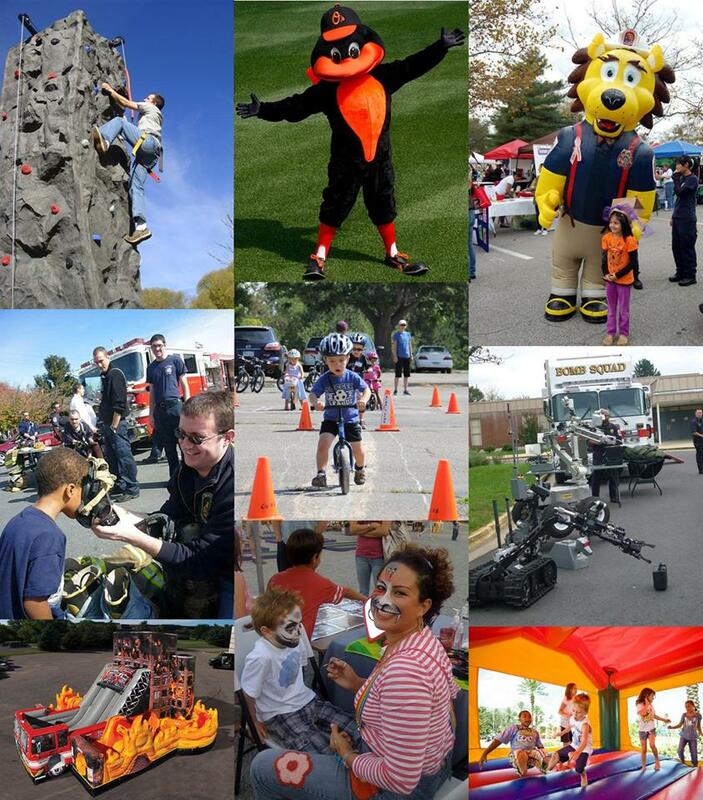 Try the Fire Rescue Obstacle Course or amazing Extreme Air Bungee Jumper! Play some fun carnival games or get your face painted! Visit the Boys and Girls Club booth or the CP Arts Exchange booth for fun activities! Kids 12 and under – bring your bikes and stop by the Proteus Bikes booth and learn the essentials of bike handling and bike safety! We’ll have hot dogs, BBQ, cupcakes and Hawaiian Shave Ice to fuel you up and keep you refreshed during the day! Come by and visit us at the College Park Community Foundation table. This entry was posted in Community news, Foundation events by richard. Bookmark the permalink.